Presidents Vladimir Putin and Barack Obama have on file three pieces of evidence showing both of them knew what had caused the crash of Malaysian Airlines MH17, and of the deaths of all 298 souls on board. They knew it little more than two hours after the crash had occurred in eastern Ukraine. They also knew each other knew it, because they discussed what had happened in a telephone call which took place before 19:45 Moscow time, 11:45 Washington time, on Thursday, July 17. MH17 was downed that day at 16:20 Ukraine time, 17:20 Moscow time, 09:20 Washington time. The first piece of evidence is the agenda paper for the telephone call. This had been negotiated and formalized by the Russian Foreign Ministry, the Russian Embassy in Washington, the State Department and the White House before July 17. The second piece of evidence is the tape of the Putin-Obama conversation, as recorded by the Kremlin. The third piece of evidence is the tape of the Obama-Putin conversation, as recorded by the White House. This evidence establishes that Putin believed, and Obama believed Putin would announce, not that a ground-to-air missile had brought MH17 down, but that other weapons had done so. The story that a Russian-made Buk missile had caused the disaster began after Obama had spoken to Ukrainian President Petro Poroshenko at about 19:00 Kiev time, 20:00 Moscow time, 12 noon Washington time. Take away that story, because Obama knew it to be false when he had spoken earlier to Putin, and what do you have? 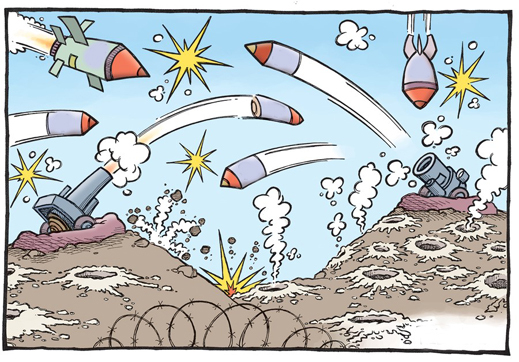 A war crime by two governments. How to prove innocence and guilt? The tapes at the Kremlin and the White House. Dmitry Peskov, the Kremlin spokesman, was asked yesterday to clarify what the time stamp on the release meant. He was also asked to explain the phrase in the opening line, “a previous agreement.” He has responded, identifying 20:30 as the time when the release was posted; the telephone call of the presidents had already taken place. The agreement for the call, Peskov confirmed, including the agenda and the issues for discussion, had been negotiated through diplomatic channels of the Ministry of Foreign Affairs, and formalized in writing before July 17. 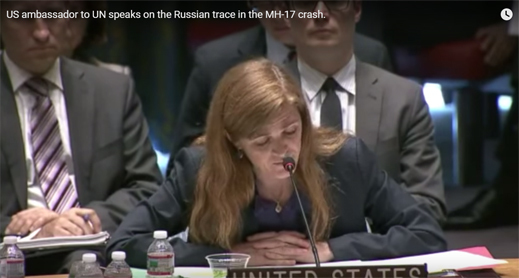 Until now, the precise timing and sequence of telephone calls which Obama made on the morning and afternoon of the fateful day have not been understood as evidence for the cause of the MH17 disaster. Precise timing is possible because of this record of Obama’s flight from Washington to Delaware, his time of landing at Delaware, and his time of takeoff from Delaware to New York. The White House press secretary Josh Earnest also made a public record at the time that Obama and Putin had completed their call at the White House, before 12:30 local time. Two additional pieces of evidence on what Putin and Obama said have taken a year to surface. 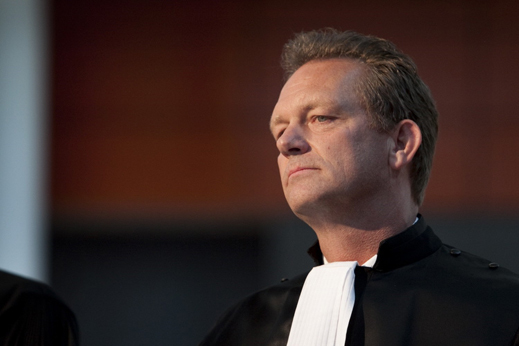 One comes from the Dutch police officer and state prosecutor leading the MH17 case investigation, Fred Westerbeke. A year ago, on September 12, 2014, Westerbeke announced publicly that 25 pieces of metal had been recovered. This count hasn’t improved in the 14-month long investigation of the crash, of the aircraft debris, and of the remains of those killed. For Westerbeke’s statements to Dutch, British and German press, read this. Westerbeke’s testimony is, he admits himself, ambiguous. He acknowledges that he doesn’t (didn’t) know, or isn’t (wasn’t) certain, what the origin of the metal had been. The second piece of evidence, which reveals what Westerbeke meant by his disclosure, came weeks later from the Coroners Court of Victoria, an active participant in the multinational post-mortem investigation of the MH17 victims. Three Australians – pathology professor David Ranson, deputy Victorian state coroner Iain West, and Victorian state coroner Ian Gray – released the evidence they had gathered and verified with the Dutch and the five-state Joint Investigation Team at the Hilversum military base, near Amsterdam. This evidence became public in November and December of last year. It was classified secret last week. For the detailed documentation which has been preserved of this evidence, click to read here. A Coroners Court spokesman refuses to say when the evidence was officially classified, or on whose order. According to the Australian coronial evidence, there was almost no metal in the bodies or body parts of the MH17 victims. According to Westerbeke, just 25 particles had been found. Before the Australian coroners had seen the metal assay evidence, they ruled that “causes of death from explosive decompression – similar to the pressure wave from a bomb – included hypothermia, hypoxia, massive internal organ injury, embolism and heart attack. Exposure to very low temperatures, airflow buffeting and low oxygen at 30,000 feet would also result in death in seconds.” Detonation, lethal explosion, and breakup of aircraft had occurred, the Australians have reported — but with insufficient traces of shrapnel to confirm that a Buk missile warhead had been cause. Coroner Gray is responsible for the blackout of evidence he and his subordinates had painstakingly made public last year, for the benefit and comfort, they said at the time, of the families of the victims. Ranson, the most talkative of the Australian official investigators, has been obliged this week, not only to keep silent on what he has already published, but to contradict what he has already said. 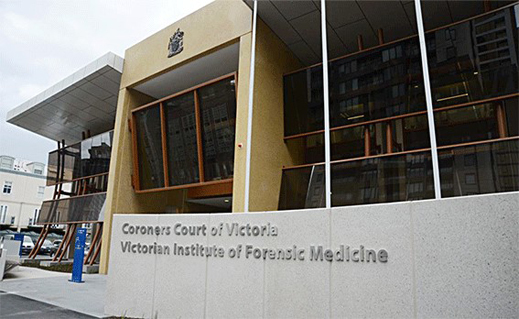 The Australian Federal Police (AFP), Westerbeke’s counterparts in the joint international investigation process, are withholding all evidence papers compiled by the pathologists, and the evidence summary file they continue to discuss with the investigators. The AFP was headed by Tony Negus (above, left) at the time of the MH17 crash. He was replaced by his deputy, Andrew Colvin (right), on October 1, 2014. The evidence release is irreversible, however. The Dutch and Australian records make the Buk story impossible as cause of death. The Kremlin statement, following the presidents’ conversation of July 17, 2014, ends with this disclosure. “The Russia leader informed the US President of the report received from air traffic controllers immediately prior to their conversation about the crash of a Malaysian airplane over the Ukrainian territory.” The Kremlin summary expressly identifies “air traffic controllers” (ATC). It doesn’t say whether they were civilian or military. Since both were at work monitoring Ukrainian airspace, using different equipment in parallel, the identification is a pointer whose significance hasn’t been appreciated before; that is, until in retrospect the Dutch and Australian evidence is understood as ruling out a Buk ground-to-air missile attack on MH17. Putin made his sources of evidence explicit to Obama. Why was the ATC reference made public? Answer: because Putin told Obama the lethal explosion which killed MH17 and everything in it originated from the air, not from the ground. In retrospect today, the Dutch and Australian evidence corroborates what Obama heard from Putin that the ATC evidence (radio and radar) was showing an air-to-air attack against MH17. Obama, and his advisors listening in to the call or to the tape afterwards, had their own reasons to believe what the Kremlin announced curtly but publicly not long after. The Russian explanation for cause of crash and for cause of death was an aerial cause, not a terrestrial one. Obama and the US Government were bound to anticipate that after the telephone conversation more details of the Russian evidence would follow. That was high noon for the White House. While Obama was on the presidential jet flying between Andrews airbase and New Castle airport, Delaware – a half-hour interval between 11:45 local time and 12:17 local time – he telephoned Ukrainian President Petro Poroshenko and the Prime Minister of Malaysia, Najib Razak. This is the White House version, released more than six hours after the event. The US media records also indicate that between 15:30 and 16:00 local time (23:30 and midnight in Moscow) Obama followed from a ground location in New York with conference calls, first with Secretary of State John Kerry, and then with “with senior members of his national security team”. Kerry’s spokesman at the State Department briefed the press, starting at 13:27, while Obama was still in Delaware and before Obama spoke with Kerry from New York. 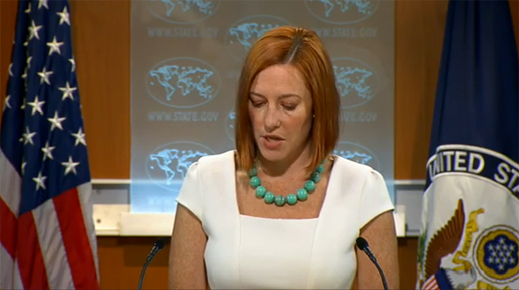 “At this point,” according to Jen Psaki, “we do not have any confirmed information about casualties, the cause, or additional details.” Her briefing, lasting 58 minutes, can be followed here. The transcript records she concluded at 14:25. “QUESTION: …the Ukrainians’ foreign ministry is saying that they have reason to believe this – not just a guess, but based on their assessment – that this was a Russian-made Buk missile that is in the hands of the Russian separatists. You also have kind of chatter on Twitter about some of the separatists saying that they did shoot down a plane. Has your team on the ground spoken to the Ukrainians? Have they told you that this is your assessment – that this is their assessment and you just want to get your own confirmation? I mean, where are you at this point? The first record of the Ukrainian Government’s claims for cause of death can be read here. In Kuala Lumpur, Najib’s public response to the Obama telephone call indicated no acceptance by the Malaysian government of an American or a Ukrainian analysis of cause of death. Najib was intent on not becoming a hostage himself to the Ukrainian conflict, and draw voter blame for the loss of the Malaysian lives and aircraft, as he and his ministers had suffered four months earlier, in March, after the loss of Malaysian Airlines MH370 in the Indian Ocean. For more on the domestic politics influencing Najib at the time, read this. 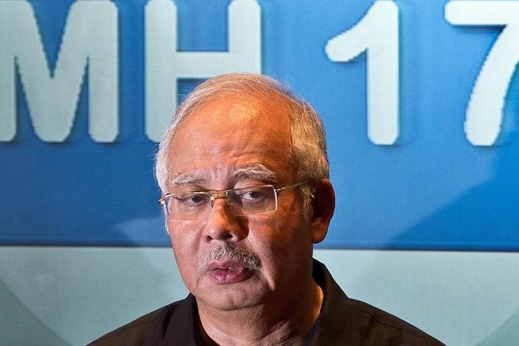 The deaths of the 43 Malaysians on board MH17 were also personal for the prime minister. His step-grandmother Puan Sri Siti Amirah, 83, was killed in seat 21A. CT scans, X-rays, autopsy sections, and spectroscopic testing of metals, which have now been conducted in The Netherlands and verified in Australia, make the Buk story impossible. This evidence cannot go further to identify the sources of the fatal damage to aircraft and passengers. To do that requires a return to the evidence of the Putin-Obama tapes, and the reinterpretation of what was said then in light of what is known now. Initially, Obama’s public statements after he had spoken to Putin did not suggest a cause for the downing of MH17. That came from other officials, led by Vice President Joe Biden. During the conference calls which took place from New York in the afternoon of July 17, did they decide that if the evidence Putin gave Obama that morning were to be published and then believed, the responsibility for what had happened would be clear around the world – the Ukrainian Government had committed a war crime? That afternoon in New York, did the US Government decide it should defend and save the Ukrainian Government? Did Obama, Biden, Kerry, and the others decide that if holding their nose was what they had to do in the circumstances, pre-empting Putin’s evidence with evidence of their own was required? Quickly. The Buk story has now failed because of the Dutch and Australian evidence. All that is required to corroborate this is the tape recording of what Putin and Obama said to each other. It doesn’t matter whether the tape comes from the Kremlin, or from the White House. So long as they are the same.